English Education Study Program in Graduate School of Yogyakarta State University always believes that enriching its students to keep in touch with the latest updates in English Language Teaching (ELT) is indespensible to achieve its vision as a high quality, creative and innovative English study program in Southeast Asia. To fulfill its vision, it regularly invites distinguished guest lecturers speaking on various topics that would prove beneficial for the students to extend their learning beyond the classroom teaching. One of those distinguished guest lecturers is Mr. Mahendran Maniam, a professor in Universiti Pendidikan Sultan Idris (UPSI) Malaysia who was invited to share his knowledge on language learning strategies for Master students on Tuesday, 28 August 2018. A great welcome speech was delivered by Prof. Dr. Marsigit, M.A. 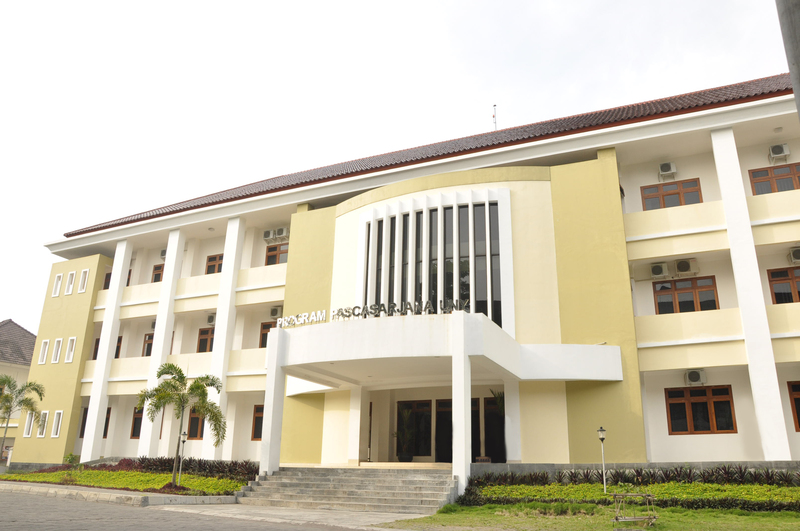 as the Head of Graduate School of Yogyakarta State University. Highlighting an issue of VUCA era which stands for Volatility, Uncertainty, Complexity and Ambiguity, he encouraged every postgraduate students to have character of innovation to face challenges in this disruptive era. He hoped that the students could complete their studies in short time by fulfilling some criteria set by the Graduate School such as publishing high quality scientific works. Moreover, in his 10-minute opening speech, he emphasized the need of technology to develop ELT in Indonesia. After the Director’s opening speech, Assoc. Prof. Mahendran Maniam warmly welcomed the students. It had been his fourth time to visit Yogyakarta and he expressed his love for this city. As an icebreaking, he told the students his life story. After being teacher for more than twenty years, he joined UPSI as a lecturer. His expertise area was ESL since he was interested in learning other languages, such as Tamil, Malay, and Mandarin. Moreover, he believed in a power of language. Language, in his opinion, was dynamic. Language could melt one’s heart if it was properly or correctly used. In his one-hour-lecture he presented definitions of language learning strategies. He argued that if a language learner picked wrong strategies, an effective language learning would not take place. Learning strategies are thoughts, behaviours, and tools used by the learners for interpreting, organinzing, and directing their own learning. In the studies concerning the determination of language learning strategies, the most frequently used tool is “Strategy Inventory of Language Learning” (SILL) developed by Oxford (1990). It consists of six dimensions which are memory, cognitive, and compensation which belong to direct strategies, and meta-cognitive, affective, and social strategies which belong to indirect strategies - . He then distributed it to all the students who were present since he was conducting a research on a comparison of language learning strategies used by bilingual and monolingual students and whether those strategies would varied depending on their gender. He once conducted a similar research to YSU undergraduate students and findings showed that under the direct strategies, they were more likely to utilize memory and cognitive strategies. Under the indirect strategies, they preferred utilizing social strategies. The findings also showed that monolingual students made moderate use of metacognitive ones, whereas bilingual students made frequent use of them. He drew conclusions from his research that appropriate language learning strategies resulted in greater motivation nad confidence. Strategy instructions were able to enhance learners’ self-efficact and autonomous learning. Moreover, they could help the learners to take responsibility for their own learning. Therefore, , he encouraged the instructors or teachers to provide the learners an access to methodological resources and appropriate learning strategies, modeling strategies and guidance to help them make continous progress and achieve academic success.